﻿ Bruno Andrade: "Cristiano Ronaldo has always been an inspiration"
20.09.2011 » Bruno Andrade: "Cristiano Ronaldo has always been an inspiration"
Bruno Andrade is a Portuguese player, who has been living in England since he's 9 years old and currently plays for Queens Park Rangers, in the English Premier League. 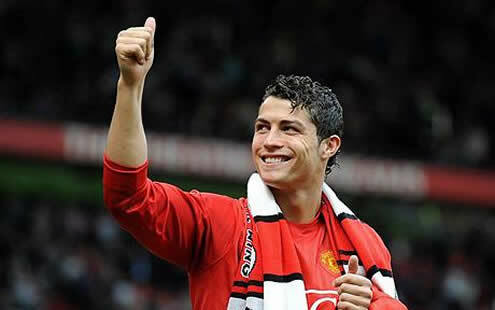 The Portuguese player confessed his admiration for Cristiano Ronaldo and hopes to follow a similar path of his idol. Cristiano Ronaldo is often reffered as an idol and refference by many young players who are just starting their football careers. It was now time for Bruno Andrade, a Portuguese winger playing for Queens Park Rangers in the English Premier League. Bruno Andrade confessed that he has always been inspired by the way Cristiano Ronaldo managed to overcome all the obstacles and difficulties during his life, in order to become one of the best football players in the World. Bruno Andrade was born in Portugal, but soon moved to England, with only 9 years old and that's where he has been developping as a football player ever since. He joined his current club, Queens Park Rangers, when he turned 13 years old, after drawing scouts attention in minor leagues competitions, such as the Sunday League. From that point on, it just took another 4 years for Bruno Andrade to impose as one of the club's crown jewels and make his debut in the Barclays English Premier League, with only 17 years old! Cristiano Ronaldo made the same achievement already being 18 years old. Bruno Andrade: "I'm very happy in England, and both me and my family believe that the English Premier League is the best place in the World for me to keep developping as a football player. ", said the Portuguese player, who nonetheless is very proud to have born in Portugal and assures he will never deny his origins. Bruno Andrade still feels attached to his home country and also revealed that he remains a fan and supporter of F.C. Porto, the current Portuguese champions and Europa League title holders. Bruno Andrade: "My first and current club is Queens Park Rangers. However, I'm a F.C. Porto supporter ever since I was a little kid and I always catch up with their games when I have the time. If I have ever get the chance to play in the Portuguese League, I would love to do it wearing a F.C. Porto jersey." Here's definately something where Bruno Andrade contrasts with Cristiano Ronaldo, since CR7 is more of a Sporting C.P. fan. The young Portuguese winger is well aware of the high demanding levels for playing in the English Premier League, but he seems to have his priorities straight, by not wanting to ditch studies. That's definately something worth noticing and a good advice for all the young kinds out there, who are also attempting to become professional football players. Bruno Andrade: "I'm 17 years old and I'm in the senior year (last year) in college. It's really hard to conciliate and harmonize time to do both things, and even more after I started training with the first team. But I know I have to be strong and dedicate	a lot to studies, in order to be able to finish them. I'm aware of how important that is, and I'm committed to do it. ", said the talented Portuguese player. Bruno Andrade is a winger, right-footed, and has a very good technique. Moreover, he's Portuguese and he's playing in England. Shouldn't be very hard to guess who is his idol. Bruno Andrade: "Cristiano Ronaldo has always been a big refference for me. I remember watching a documentary about his life and the path he had to follow on his first years. That was truly a big inspiration." Queens Park Rangers talented player then added: "Cristiano Ronaldo is an idol, but people insist on comparing me to Ashely Young (Manchester United). I have to agree that we have a few similarities in the way we play, but I know I still have a really long road, to achieve such a big level. ", confessed Bruno Andrade, the 17 years old boy, who already seems to be a very down-to-earth person. Real Madrid next game is against Racing Santander, this Wednesday (21-09-2011). You can watch Racing Santander vs Real Madrid live streams, inside our Live Games Streams section. Cristiano Ronaldo is still in doubts for playing against Racing Santander, since he's recovering from his ankle injury. The countdown clock timer, displaying the time left for the next Ronaldo game, is shown on the top right corner of all pages.